The Aprilia Tuono 1000 is one of the maddest motorcycles you can buy, with a blend of wheelie-popping power, respectable handling and Goldie Lookin' Chain styling. 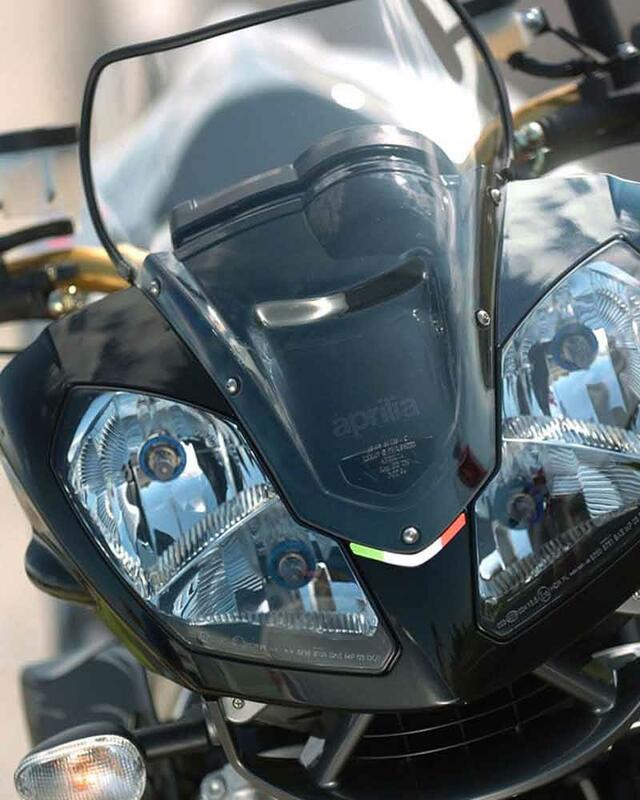 A motor taken from the RSV1000 Mille sportbike, but not detuned, acts like a Mr Hyde potion in this motorcycle, but if you like the occasional foray to the dark side, you'll love the Aprilia Tuono 1000. Stonking great gobs of poke, especially in the later 2005 onwards Aprilia Tuono 1000 Factory and Aprilia 2006 Tuono 1000 R ( claimed 130bhp ) are basically too much motorcycle for road use, but tremendous fun to apply, especially when baiting sportbike riders who haven't a clue what they're doing. 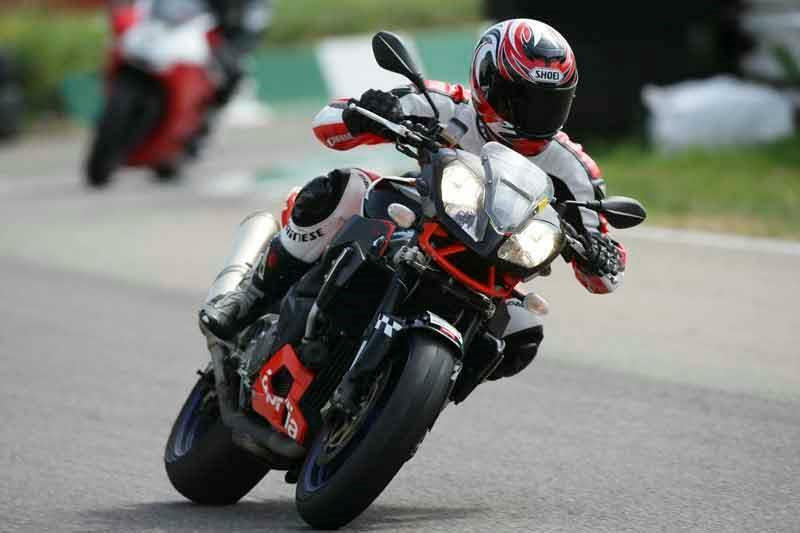 If you cannot wheelie an Aprilia Tuono 1000 R then you probably haven't discovered how to operate a motorcycle's throttle yet. There's no doubt the top spec Aprilia Tuono 1000 models have some trick bits on them, and the motors are legendary for their reliability. 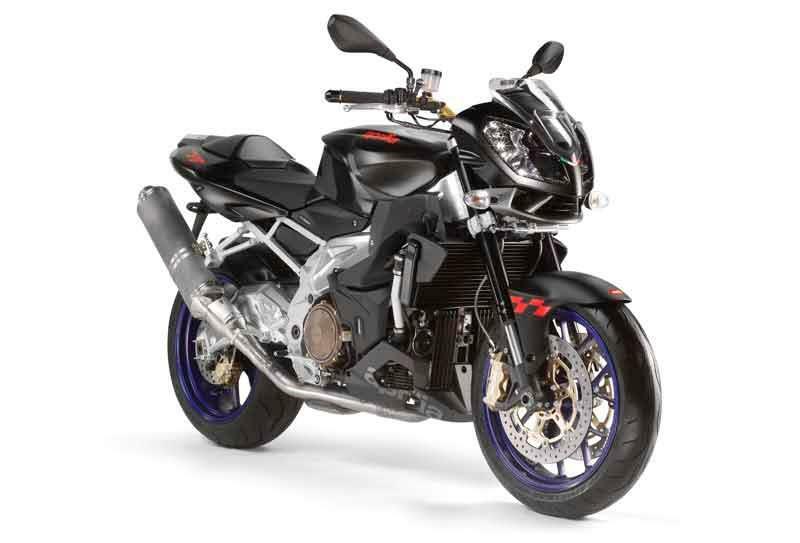 But the motorcycles can suffer some corrosion here and there and the bottom line is that the Aprilia Tuono 1000 isn't an everyday naked roadster motorcycle like say a SV1000, Yamaha FZS1000 Fazer or Honda CB1300, it's a bit more exotic and needs more TLC. 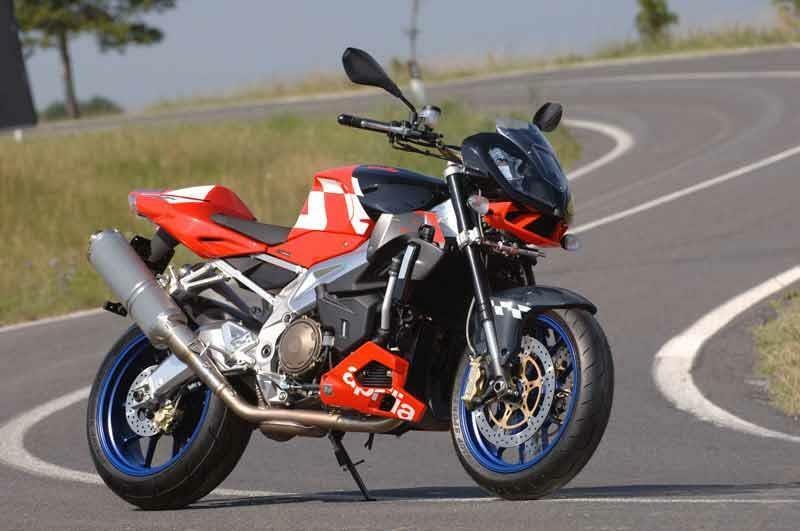 Find an Aprilia Tuono for sale. The early basic Aprilia Tuono 1000 models are one of the best used motorcycle buys in biking, a true weekend fun motorcycle. But if your bank balance can stretch to the lush Racing/Factory versions you'll feel the quality every time you ride the thing at 9/10ths. The Aprilia Tuono 1000 has plenty of high power rival motorcycles nowadays and arguably might not hold its resale value as well as more mainstream rivals. The Aprilia Tuono 1000 lacks the sheer classiness of some of its Italian opposition motorcycles too. Again, a mixed bag, with the Aprilia Tuono 1000 Factory and Tuono 1000 Racing models having all the right bits on them, but the cheaper variants feeling a little bit of a parts bin special here and there. The Aprilia Tuono 1000's questionable bronze anodised frame, `bling' clutch covers and lurid paint schemes on some of the Tuono models aren't everyone's cup of cappucino either. 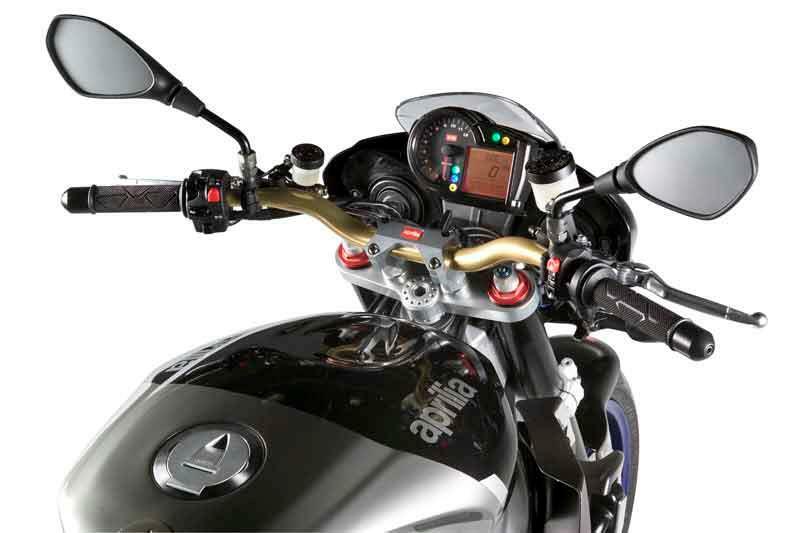 On the upside the Aprilia Tuono 1000 comes with motorcycle crash bungs factory fitted. 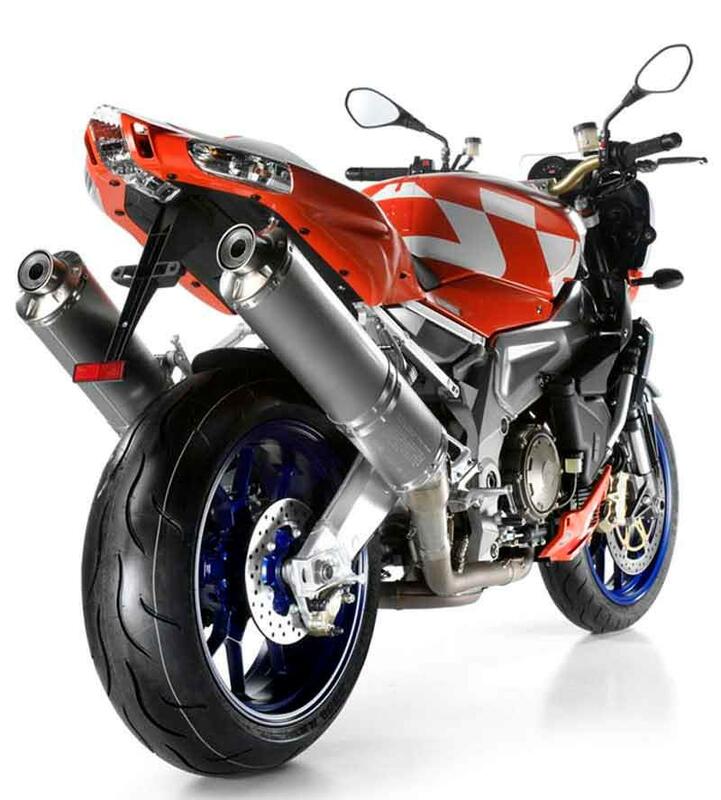 Compare and buy parts for the Aprilia Tuono in the MCN Shop. 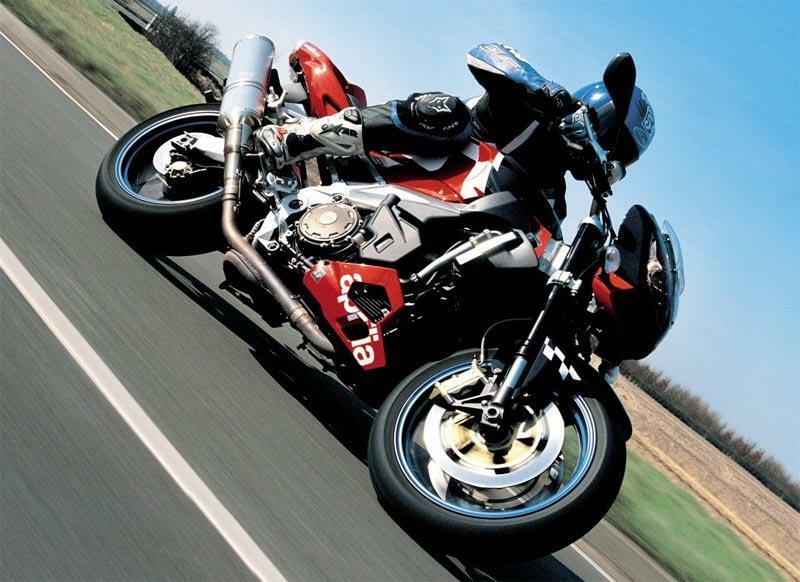 2003: Aprilia Tuono 1000 Fighter and Aprilia Tuono Racing launched. 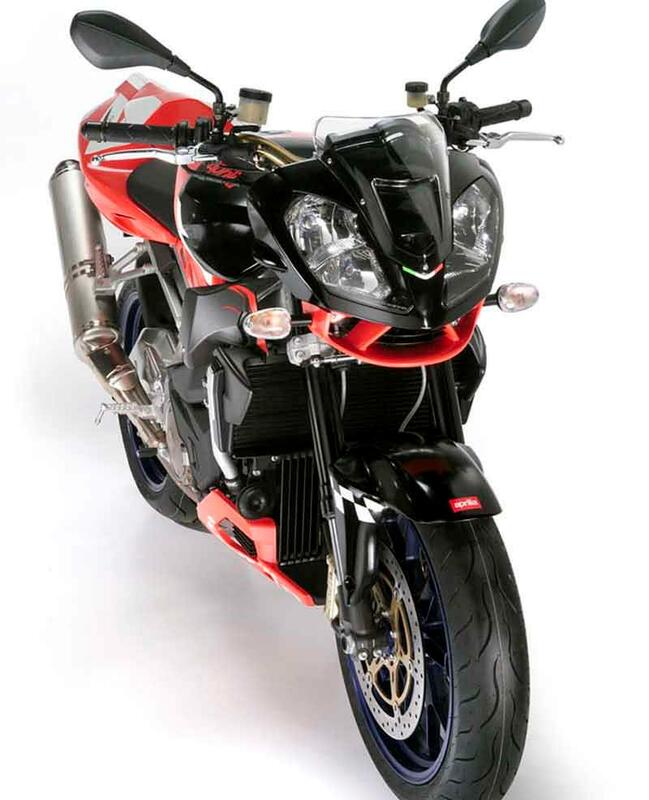 2005: Fully revised Aprilia Tuono 1000 based on new-style RSV1000 launched. 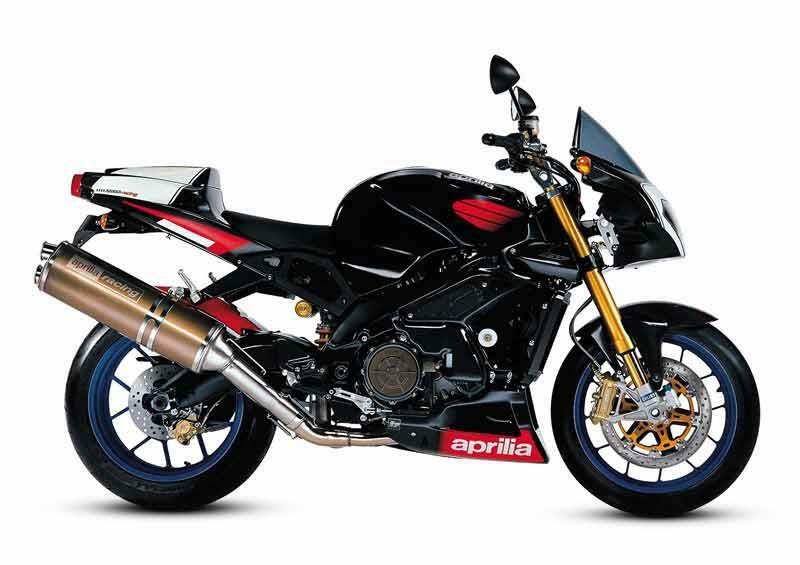 Aprilia Tuono 1000 R motorcycle is joined by hi spec Aprilia Tuono 1000 Factory. 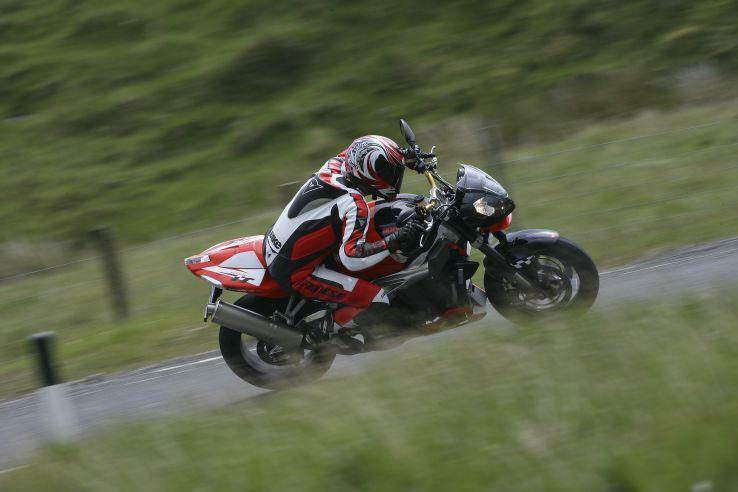 2006: Aprilia Tuono 1000 R is all you get, but it's got latest bodywork, Aprilia RSV1000 R chassis and engine tweaks. 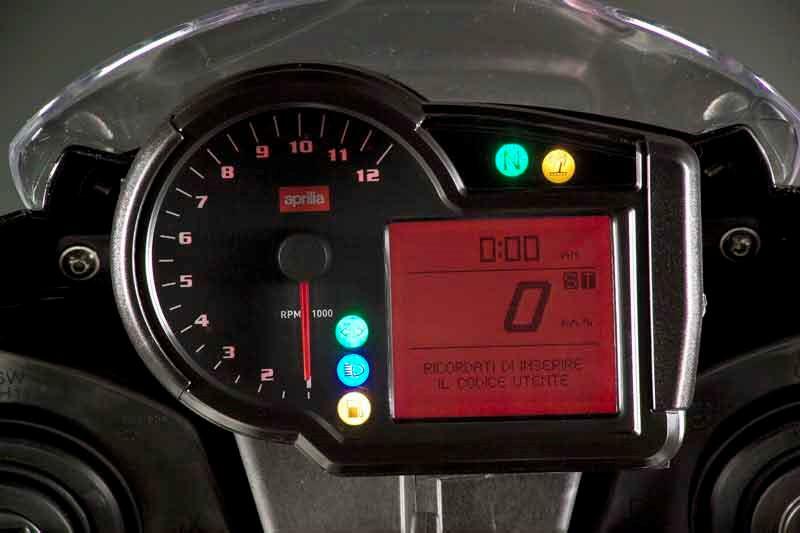 2007: Aprilia Tuono 1000 Factory launched. 2003 Aprilia Tuono 1000 Racing: An uprated version of the standard Aprilia Tuono 1000, featuring Ohlins suspension and steering damper, OZ wheels and carbon fibre body panels. also 6bhp more powerful and 9kg lighter than the standard motorcycle. 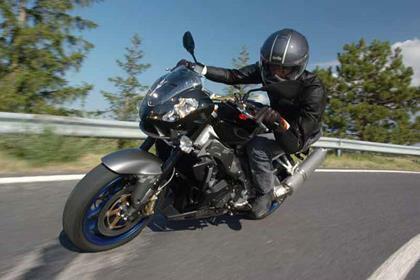 31 owners have reviewed their APRILIA TUONO 1000 (2003-2011) and rated it in a number of areas. Read what they have to say and what they like and dislike about the bike below. Can be a little flighty under hard acceleration. Wide bars exaggerate rider input and are tiring in less than perfect weather conditions. Throaty roar and comfortable for touring though 200km will drain the tank. Very smooth with little or no vibrations. Front brake is excellent, rear is non existent and next to useless. Lovely smooth engine at all revs with gobs of torque, a wheelstand monster! Heavy engine breaking can be intrusive if you are not used to large capacity V twins. Fuelling a little unsure at city speeds. Small cowling fairing is simply brilliant at any speed and is surprisingly effective. Leave the pillion at home! Simply a brute and will not get left behind by anyone up to 100mph. Oil change is a pain and seat removal and fitting just plain dumb (Italian quirks!). Beautiful punchy low end grunt. Less than stella electrical pedigree. More a case of push starter and hope! Nice fit and finish with quality parts. Ease of access lessens labour costs but there are your typical Italian "quirks". Not a ride and forget type of machine. Nice race/lap time feature and cockpit is well laid out with big digital speed readout. Good suspension as standard but will require upgrade to get the best out of the chassis. Will shred soft rear tyres. Long in the tooth now so hard to find in tip top condition. 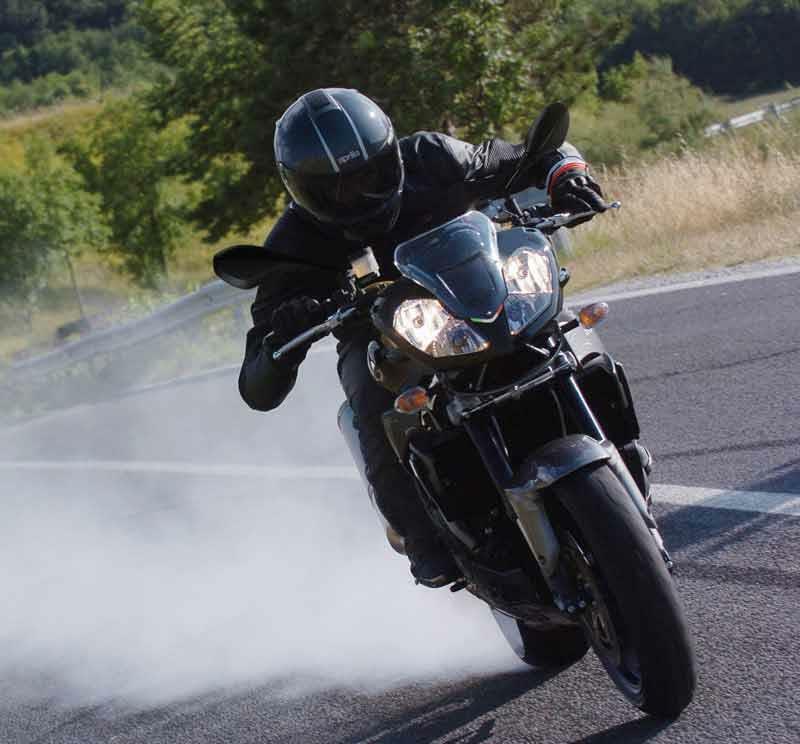 Look out for wear and tear consistent with excessive wheelies. An excellent choice for older guys looking for something more upright and a little different. Overall a very comfortable machine to ride with kudos points for Italian cool. Not as simple to live with as a Japanese equivalent. I am around 6ft 2 and 17 1/2 stone - I'm not small or light. The bike seems to handle my weight very well with the standard suspension over all kinds of road surface. The steering damper is much appreciated and makes a big difference compared to my previous bike which tank slapped over bumps (05, 1050 Triumph Sprint). I would say though that you do need to keep on top of Tyre pressures to make sure it keeps behaving over cracks and pot holes. The riding position is excellent for both slow, fast and filtering. Feet are high up for those fast corners and wonderful wide upright bars to get a good amount of counter steer. I will never ever go back to a bike with clip ons again. Superb. The sound is absolutely fantastic - and this is coming from a Triumph Triple man. Lovely V Twin roar and loads of torque. I will give one star less here though as you do have a manual idle (even though it's EFI) which can be annoying and a bit embarrassing (it is VERY loud on idle). You basically have to let the bike warm up a bit first (like with the old RS50/RS125) and then turn down the idle. Would be nice if this was automated like most EFI systems. The only other downside is a flat spot around 5k RPM although I understand this is sorted out with a few mods which I intend to undertake. Absolutely no disappointment with power though, it really does feel like it's ripping your arms off in the higher rev range. Major service was £600 so comparable to Triumph etc. Although this was done before I took ownership. Would imagine paying this every 2 years or so. Parts are expensive but there is a quality feel to them. Enough for what you need. Even a little cubby hole in the rear seat hugger. Only let down is again the manual idle and the mirrors are pretty appalling. Would have 5 out 5 except for starter problems. Other than that, it's a great ride. Every time you ride it, it puts a smile on your face: the handling, braking, steering, the barking mad engine just make a great ride. It's also comfortable. One finger front brakes - Phenominal. Pricy but well worth it to keep it running sweat. For the money, if you want a naked sports there is no other bike to compare to. Strong, free revving. Needs different sprocket fitting to really smooth out low speed riding while still giving great acceleration. Torque available from just about no revs. Has it's share of niggles but they're known and fixable. Let down once by a dodgy connector. Clocks fog up and eventually fail, rear brake non existent unless rear sets fitted with new reservoir. Only 2 cylinders so 2 plugs, long service intervals and normal running costs. What equipment? Pure unadulterated naked fun. Been on only Harley-Davidsons since riding, so over 10 years now. Trouble is my biking circle has expanded and a few are on sport/naked bikes, and my poor Roadking was being "thrashed" to keep pace. Wanted something that was a V-twin, exotic, easy to transition (as keeping the H-D) and fun. This bike does not fail to deliver on all fronts, ive had it 4 days now and put over 500miles on it, ive not even scratched the surface on what it can do, but whilst im learning its abilities and mine the smile in my helmet goes from ear to ear. I look forward to my commute back and forth to work, go the long way around and find any excuse to take her for a spin after tea! I would recommend this to any rider who was looking to for-fill the same criteria as me. Love it! The big Brembos help for sure, had to do an emergency stop due to being cut up and we survived. its a V-twin, nuff said from me! Perfect bike in my opinion. Great on the roads due to the more upward riding position compared to sports bikes. Still great on the track as well because of the amazing frame and suspension, not to mention the engine. If you take proper care of the bike and do some mods to the electrical system reliability is very good as well. I've owned the bike for two years now, but still get excited every time I start the bike and go for a ride. Really love this hooligan machine! Amazingly stiff frame and great suspension, also for track use. Suspension is fully adjustable front and back which means everybody should get the perfect ride. Great torque and high and power, engine does not stop accelerating throughout the RPM's. The sound is simply amazing, especially with aftermarket exhaust systems and K&N airfilter. With some mods to the electrical system (wiring harness and upgraded battery) the engine is really reliable. The Rotax engine is also great. I do all the servicing myself, do use fully synthetic oil however. Great Brembo brakes with steel brake lines and fully adjustable suspension. High end equipment in my opinion. Bought the bike for 3200 euros 2 years ago (2014). Came with an extra set of wheels and some upgraded parts however. I have had literally hundreds of bikes over the last 31 years of riding but this is by far the best bike. It is similar to the RSV I had a few years ago but so much more comfortable and easier to ride. MCN call it a mad bike to ride but only if you want it to be, it can also commute and tour really well. I get 41 MPG and that is riding it at 8/10 most of the time. The power is great, the handling amazing and unlike so many bikes that just seem to be getting smaller and smaller it actually fits a grown up! they dont like going slow ie filtering. The bikes best features are the sheer torque and soundtrack. This is an incredible machine, how a twin such as this can pull away with the speed of a high powered in line-four is mind boggling. Instant throttle response! The white one's look the best, so that is the one I went for - its highly visible and great when you rumble into a bike meet - this bike always seems to gather interest. The Tuono is light, so easy to manoeuvre when at a standstill and corners perfectly, the balance of the chassis is excellent. The Tuono is an excellnt all round machine. Pillion space is limited, but there is loads of pull when riding two-up. Excellent performance from the engine. 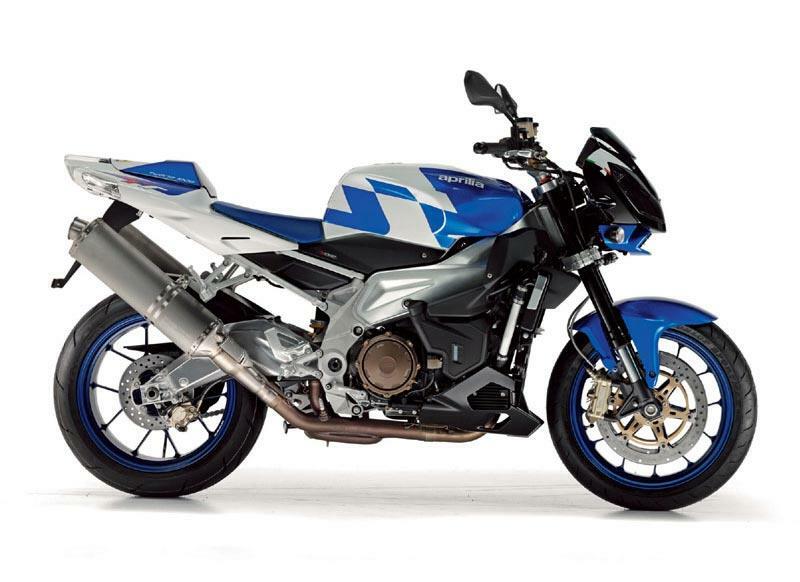 It'll scare off some higher performer sports bikes with the Tuono's catapult like power delivery. Great for hooning around, and fine in town traffic. Traffic will hear you coming, so good for filtering, cars tend to move to one side when they hear the bike coming in slow moving traffic! Build quality on the Tuono is excellent in comparison with other models. The swing arm and polished frame look incredible. The Tuono has never missed a beat. Servicing is no more than any other bike, much cheaper and convenient than other Italian exotica such as Ducati - where there is the annual faff of changing cam belts on Monsters and others ( I have owned 3 Monsters). Equipment on the Tuono seems perfect, the soundtrack is perfect and the bike pops on the over-run, even with standard cans on. Use after market cans and it'll pop even more. If you love the sound of a twin soundtrack, but with excellent performance, you'll love the Tuono. Its a bit of a hooligan, but only when you want it to be, in traffic it'll burble along really nicely. Huge grin factor is deliverwed every time I ride it. I've riden and owned everything from a KR-1 to a ZZR1100 and ZXR750RR, with NC30s Yamaha TRX 850s thrown in, but this has to be one of the most fun bikes I've ridden in 30 years of riding. It goes like stink, stops and turns beautifully for such a large looking bike and is comfy on longer jaunts, thanks to high bars and a good seat. I can't really think of anything I'd change on it, as it came with a fruity Akropovic pipe when i bought it. It's done over 21K since 2005, but paint looks new and corrsion is almost non-exsistant. It's stunning second-hand buy, with lots of bike for the money. The best transition from a sports bike and radically different with the V60 twin. I love the bike for performance, comfort and handling. Great engine braking and low down torque. Bought a 2007 one and have been simply amazed by the Tuono's speed, handling, comfort & quality. I own a Fireblade as well and the Tuono handles as well and gives an incredible feeling of confidence. Also the quality of the bike seems as good as Hondas. If you like quick bikes, go test ride one before they are all gone and I bet you will love it. Roll on the V4 version. overall package makes perfect sense on the road. geared it down and tweaked the suspension,everything else was just perfect. great riding position,excellent brakes, standard equipment on the factory defies logic ohlins oz brembo and oodles of carbon the bike just makes perfect sense.power where you need it and comfort for all day or intercontinental riding. one small issue that when geared down for more midrange and low down power the tank range when pushed on would be less than 100 miles, but more than 100 smiles..worthy mod buy one you wont regret it.. In the last year I've owned five bikes, the last bike that came anywhere near this bike was a superduke but some robbing barsteward nicked it. This bike is awesome especially with Akros and 15T front sprocket its a wheelie machine ( I would imagine ) The build quality is far better than the Speed Triple I owned before. I'm yet to experience Aprilia aftersales, be aware the first service is extremely expensive as all valve clearances etc need to be adjusted. Its really nice to ride something a little different to all the Jap inline fours around. It might look like a parts bin special but I love it. When looking for a new big bike my wish list was simple, I wanted a bike that was comfortable to ride everyday, not a Jap but an Italian v-twin with personality, at a good price and most of all arm stretching blistering fast, the Tuono R1000 2006 onwards is the best and maddest Naked bike in around and with my Carbon Arrows will put plenty super bikes to shame. After the bike-a-year program for the last 6 years, I've finally found my ride. Having ridden sportbikes for ages, I wasn't keen on having a standard bike that had been neutered or "tuned for torque" nonsense. Thank God Aprilia left this motor alone, and didn't water down what is a fantastic bike. Brakes are awesome, frame is well suspended and stiff. A perfect package. This is an awsome bike with great handling and an excellent engine. I bought the 2003 racing version, after saying goodbye to my GSXR 600k5. Another good bike but was so good it was boring (in the end found myself riding every where at >12000 rpm so it had to go as i like my licience and need it for work) With this bike you have power the whole way through the rev range and dont have to bounce it of the limiter to get anywhere. Corner exit drive is unreal. Suspension is great, making the most bumpy roads seem flat. Comfort is also great with wind blast only getting bad at 120mph or so. Only drawbacks are: Tyre life and if being picky could do with more tank range. It looks fantastic and the attention to detail is superb. I have passers by asking me to start it when I'm parked up! It's as easy to ride as my zx6-r as long as you're carefull with the throttle. The riding position is brilliant for 6 footers with more leg room and a reach to the bars. Leaves you very prone though, 100+ mph for any time gets your neck (but then thats a distinct advantage in my book!) Loves to lift the front wheel in most gears. Brakes are superb and offer a lot of feedback as does the suspension. I thought it was rock hard at first but it has a magical way of smoothing out bumps as if they weren't there that my previous jap bikes haven't done. Does not like poor surfaces though - may be the std D208s. Cheap to insure for the performance, good lights. Fit open cans and there's a second map on the ECU waiting to be dialed in by your dealer. Mine came with an additional smaller front sproket as a standard accessory! Strengths: Looks, value, engine, power delivery, handling, brakes and suspension. Riding position for taller riders. Keep your licence on the motorway. Weaknesses: Tyre wear, fuel consumption, valve service every other time (although now 6000 mile intervals.) Need a hack for the winter as I don't want to let her near salt. 2003 bike bought new in 2006 for £5499 - bargain! Bought this bike to replace my ZX9R and am I glad I did. The power, looks and above all value for money is exceptional. Comes with all the bits and is more of a bike than I'll ever need. The day after I got it I went to the MotoGP at Assen, round the Nurburgring in Germany and then to Antwerp before returning to England and it never missed a beat. Can't fault the comfort or reliability of the bike (then again it is brand new). Buy one, or at least ride one, you won't be disappointed. Strengths: Looks, standard parts, engine, reliability and the way it makes you smile when you ride it!! Weaknesses: My friend has the 2006 Tuono and it eats tyres so I'm expecting mine to do the same. Fuel economy isn't good but thats not why I bought it!! You can spend years looking for the right bike, one that can do just about anything you ask of it. Well I think that the Tuono has it all and then some !! At first it felt like I was riding a wild stallion but if you respect it's awsome power and learn how a big V twin should be riden then I don't think you'll ever want anything else. I bought mine second hand and the bloke I bought it off was nearly in tears when I picked it up. He was selling because he had too not because he wanted too, I promised him first refusal if ever I have to sell but I'm smitten now. I'm not one for top end speed but this bike has everything, the only reservation I had when I had a test ride on it was that it physically felt like a smaller bike but you only have to open the throttle a bit to make you feel different, It has two arrow cans on it and they sound like thunder!!! 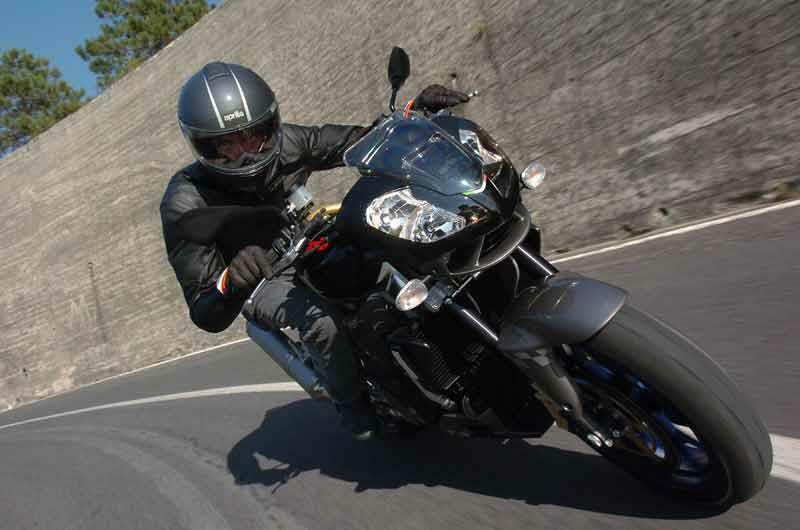 Strengths: Italian styling,awsome power, fantastic riding position, and looks you'll never get tired of. Weaknesses: It's not British!! Bought as a second bike to complement my race bike. Couldn't settle for a detuned Faclo, knowing how I am like on the road. This bike more than delivers. Italian design but with well tested reliability. Do not fall into the misconception that you are growing up by trading in your R1, Blade, Gixer to get this bike! You don't need 150mph+ to be having fun. Strengths: Looks, performance, comfort (against a sports bike), corner drive, exclusivity. The addictive noise of the twin with race pipes. Weaknesses: Turns me into a hooligan when I am on it :-) Not sure if that is a bad thing. I call her the widow maker. Tank range not the best, clocks have reset themselves a few times. Bored with sport tourers, but wanting something that offered lots of power and excitment I settled on a Tuono last May. From the look of some of these reports I may have paid over the top for it, but so far have been absolutely delighted with it. I have added an ermax flip screen to help it on the motorway, and replaced large numbers of badly fured nuts and bolts. It is a bike that demands a lot of committment from a rider - ride it well and it rewards with great dollops of grip, shunts of torque, and a howling engine that tickles something primevil inside me. Ride it badly and it hesitates, wheelies, slides, slaps the chain so bad you think it will break, and shakes it's head in disgust and generally tries to kill you. It was just what I was looking for. It's demanding, passionate, and utimatly rewarding. It demands committment from me, and gives utter delight in return. Strengths: Wonderful, powerful V-twin engine, the amazing brembo brakes, handling, attitude, un-commoness, brutal looks, italian detailing, noise. Weaknesses: Fuel range is not good. Seat is not comfortable for distance - in fact the bike is not great at motorways/distance because of the riding position, italian detailing, and the noise at 6.30am when I wake everyone on my street. Fell in love at first sight and not disappointed. Sensible mod is to drop front cog by one tooth as was lumpy at very low revs around town. Im 6 foot and overwieght and the bike is so stable. On the throtle the bike is very responsive and the front brake can have the rear in mid air. Quality is supperb and the bike comes with steering damper, tank guard, crash bobins rear hugger, and slipper clutch, everything i would of had to but as extras on other bikes. Ive done track days on it and it flies, its highly confidence inspiring. Strengths: Stability, build quality, value for money, grin factor, reliability AND glorious red Italian exotica. Weaknesses: High motorway speeds are very tiring due to lack of wind protection around the head / neck. In 30 yrs of biking I have never had a bike which makes me smile so much whether a 80 mile scratch, 300 mile tour or a 5 mile commute. Can't wait for the alleged 2006 model! Strengths: Power, Handling [on the right rubber] relative comfort, Italian style with reliabilty. Weaknesses: I found different makes of tyres make a huge difference in the way the front end feels.